Super Friendly Host and the apartment was very nice and cozy. Sparkling clean, nice balcony to have a meal and a drink. Great location! Comfortable beds, nice view from the top floor room. Espresso machine in the room! The bed was really like a cloud. It was a really nice to lay down in a comfortable bed after hard working day. 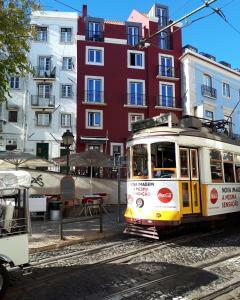 A small, nice hotel in the heart of Alfama. Close to everything but underground. The tram is passing just outside the front door. The area is full of restaurants, bars and nice shops, a bit touristic though. But the whole city is packed with tourists this time of the year. Nice small breakfast buffet with actually everything you need. 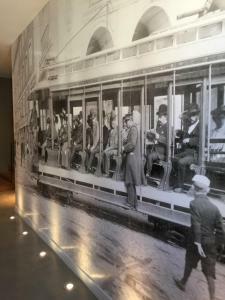 We loved staying at this hotel, the location was perfect and the staff was friendly. Would go back again! The view from the suite's bedroom window is a "wow"! The size and the facilities of the suite are quite nice. I stayed 3 nights and I have to say that I was very happy! Very well located, very professional and great host! They were also very truthful as I did forget important items in the locker within the room and they kept it for me, nothing was missing. I highly recommend this place! Hosts were friendly and welcoming on arrival and helpful throughout our stay. Flat was newly renovated and a 5 min walk to the castle for breath taking views of the city, A tram stop is just outside the front door a leisurely 15 min walk downhill to the center of town. We found several great restaurants nearby as well for evenings we didnt want to venture far. Overall, an excellent jumping off point for destinations throughout Lisbon and excellent value for money for a family of 4! 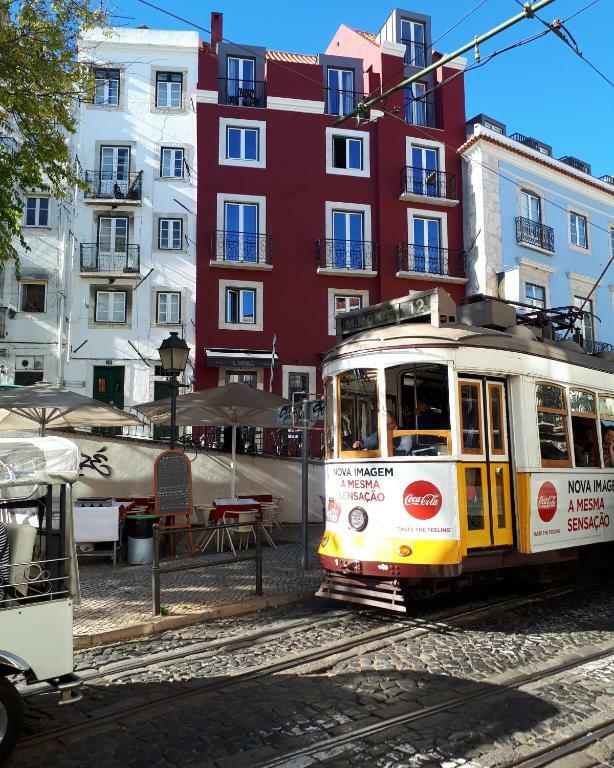 In the heart of ALFAMA and close to public transport and main attractions of the area - you get a real sense of history when you stay here. Awesome shower and very comfortable bed and because of the double glazing the room is quiet . Handy kitchenette area for morning coffee and breakfast if you want to eat in, very comfortably and tastefully decorated . Highly recommended. Comfortable room, close to everything. Great neighborhood. The rooms are awesome as well as the location. You could explore all of the old town by foot going from there. Nice bars, cafes and restaurants are nearby. I totally loved it! Lock in a great price for Dalma Old Town Suites – rated 9.2 by recent guests! 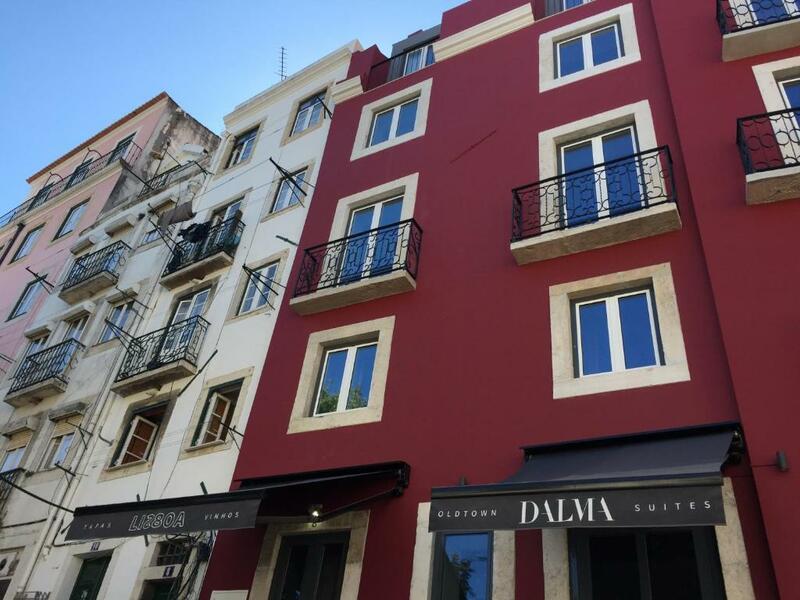 Dalma Old Town Suites is located in Lisbon's historic Alfama district and features luxury apartments, studios and rooms, each with a distinctive décor. It is just a 2-minute walk from the iconic São Jorge Castle and a 5-minute walk from the Lisbon Cathedral. Featuring free WiFi and air conditioning, all units have a flat-screen TV and a private bathroom, with free toiletries. Studios and apartments also come with a seating area and an equipped kitchenette . Daily cleaning is provided. Each morning, a continental buffet breakfast is served at Dalma Old Town Suites until noon. The property's onsite Li28on restaurant features a tapas menu on offer and is available for lunch and dinner. The Graça Belvedere is a 2-minute walk, while the Senhora do Monte Belvedere is within a 7-minute walk, both offering panoramic views over the city. Lisbon's Flea Market is nearby, at a 5-minute walking distance and takes place every Tuesday and Saturday. A stop for the emblematic 28 yellow tram is just outside the building. 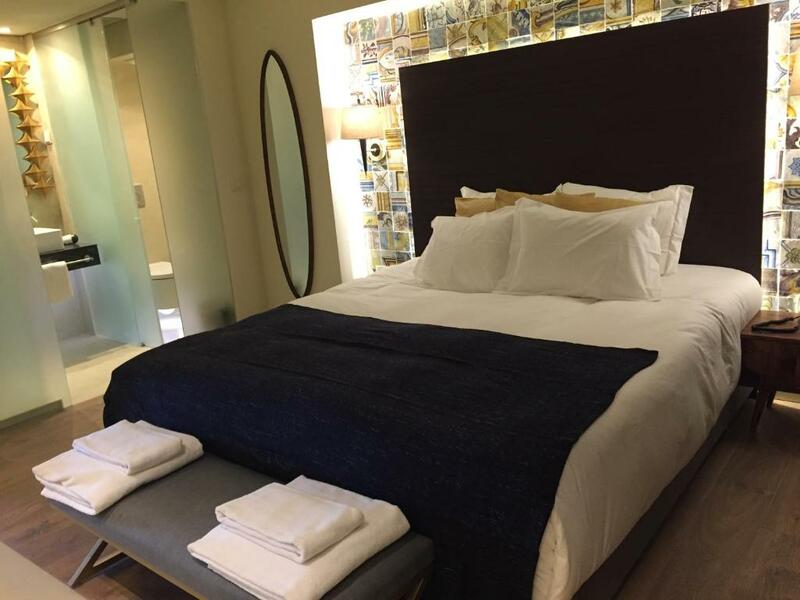 Chiado is a 15-minute walk away and Lisbon Humberto Delgado Airport is 4.1 mi from Dalma Old Town Suites. 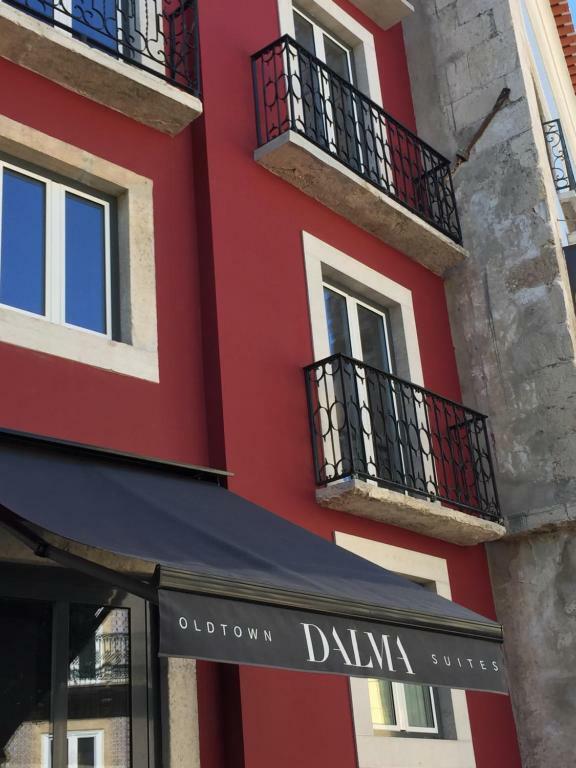 When would you like to stay at Dalma Old Town Suites? With 2 bedrooms, this apartment comes with Tagus River views and a double sofa bed, in the living area. The apartment is equipped with air conditioning and also includes a flat screen TV, kitchenette, coffee machine and a safety deposit box. The private bathroom comes with a hair dryer and free toiletries. Featuring air conditioning and a coffee machine, this open plan unit has a seating area and a flat screen TV. The unit includes city views, a safety deposit box, equipped kitchenette and a private bathroom. This cozy room features air conditioning, a safety deposit box and a Nespresso machine. Featuring a unique décor, the room has a double bed, private bathroom and a flat-screen TV. Featuring a balcony and views over the city and the Tagus River, this apartment is air conditioned. The living room has a double sofa bed, as well as a flat-screen TV. The apartment also includes a kitchenette and a private bathroom, with a hair dryer and free toiletries. Alfama é o mais antigo e um dos mais típicos bairros da cidade de Lisboa. As vistas mais espectaculares sobre Alfama têm-se do passeio público formado pelos miradouros das Portas do Sol e de Santa Luzia. Por cima e envolvendo Alfama ficam a colina do Castelo de São Jorge, fortaleza e palácio real até ao século XVI, e a colina de São Vicente. Para além do Castelo, os principais monumentos da zona são a Sé, a Igreja de Santo Estêvão e a Igreja de São Vicente de Fora. Alfama é um bairro muito peculiar, e porque se assemelha a uma antiga aldeia não só em aspecto pitoresco, como por ter uma comunidade relativamente pequena e próxima. É conhecido pelos seus restaurantes e casas de fado, assim como pelos festejos dos Santos Populares, em especial na noite de Santo António, de 12 para 13 de Junho. House Rules Dalma Old Town Suites takes special requests – add in the next step! Dalma Old Town Suites accepts these cards and reserves the right to temporarily hold an amount prior to arrival. Please inform Dalma Old Town Suites of your expected arrival time in advance. You can use the Special Requests box when booking, or contact the property directly using the contact details in your confirmation. Friendly staff, huge rooms (we booked one with 2 bedrooms), tasty breakfast, excellent location! Excellent location. Very friendly staff. We had a great stay. Quite noisy if you had the window open! Bathroom was a little chilly in the beginning. Charming hostel, breakfast was very good, but not extremely. The hostel was COSY, small, 12 rooms, every room dedicated to one famouse portuguese person. Whatever hotel I stayed at if there were an espresso machine in the room it was provided with at least one complementary coffee capsule per day. When I asked for an additional capsule after two days, I was charged for a coffee capsule. We spent four nights in Lisbon and the stay in Dalma suite was very good. The room was clean and comfortable. The decoration was exquisite. The location was also favorable, and we went to Saint George Castle and the Cathedral by foot. The staff here are friendly and helpful. We also liked the breakfast here. Rita the host was lovely. Room was stunning, loved the furniture. Comfy bed. Amazing shower. Room was very pleasant. Bed comfortable. Shower excellent. Everything was fine. The gift of wine and custard pies was a pleasant surprise. Maybe one little thing, we reported that the fan in the toilet was not working on the first day but it was not fixed (or even mentioned again). On the last night I think the rubbish was being collected in the street and the people doing so were talking very loudly which together with the noise of the machine kept us up for a while. Clearly not much the management of the hotel can do about this. The staff were very friendly and helpful. Rooms nicely decorated and clean. It is quite a long walk uphill to reach the hotel. Very nice, clean comfortable suite.